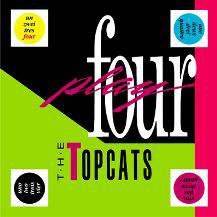 Recorded and released in 1988 and released again in April of 2003 on CD, "Fourplay" was The Topcat’s first full length LP. 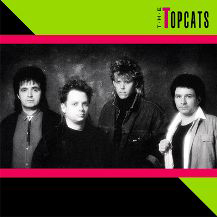 It consists of eleven songs written and produced by The Topcats. The album was recorded at Southlake Studios, in Metairie, La., engineered by David Farrell, with graphic design by Matt Touchard. The eleven songs, "Did You Think That I’d Tell You the Truth", "Rich Girl", "There’s Gotta Be More", "She’s a Dancer", "Can’t Seem To Get Away", "Friends Til The End", "Gone To Long", "Be With You Tonight", "Automatic Reaction", and "Big Man" were written in 1987 and 1988. Some of the songs feature the background vocal talents of Don Berry. "Automatic Reaction" received considerable radio airplay, as it was put into regular rotation on WRNO 99FM, in New Orleans. The recently released CD version of "Fourplay" also contains four bonus tracks! 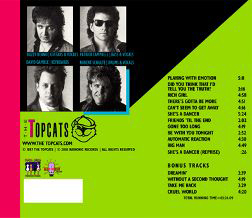 "Dreamin" and "Cruel World" are two Topcat songs that have never been released, and "Without A Second Thought" and "Take Me Back" are from The Topcat EP, which was released in cassette form only! Please check out the songs in the player below.